Who would be the winner in a showdown between Godzilla and a water heater? On the release of the newest "Godzilla" movie, we take a humorous look at the main differences between Godzilla and a water heater. We all know about the many similarities between Godzilla and a water heater - they can both make a lot of noise, they can both spout hot steam etc. But there are more differences between Godzilla and a water heater than there are similarities. - Cost: Getting into a new water heater can cost you as little as $700: getting in to see the new Godzilla movie will cost you no more than fifteen bucks. Saville Katz is a Los Angeles-based writer and creator of Internet content. He currently serves as Director of Web Content for Mr. 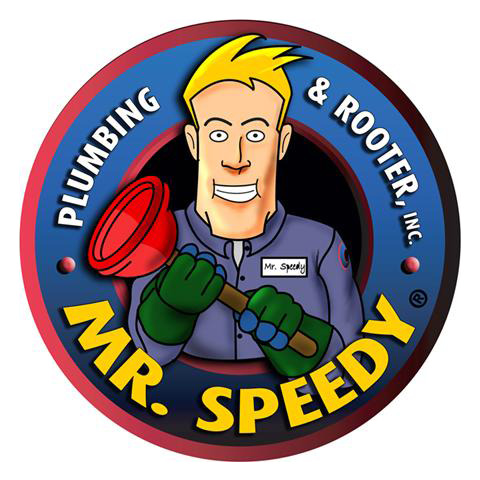 Speedy Plumbing & Rooter Inc., where he creates blog posts, original web content and social media for consumers, fans and followers of plumbing services. Mr. 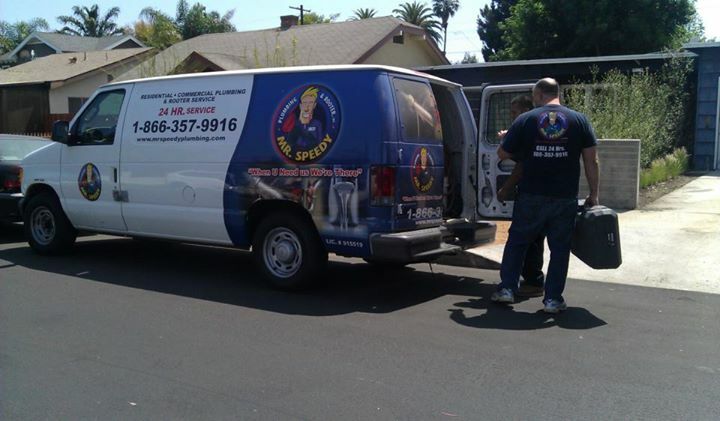 Speedy Plumbing & Rooter Inc. is a full service plumbing and rooting company headquartered in downtown Los Angeles, with additional facilities in Huntington Beach and Concord, California. Our plumbing technicians are all highly experienced and very knowledgeable. 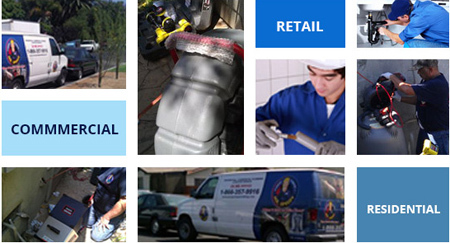 We provide them with the latest tools and technology to deal with the most challenging plumbing issues. We operate a fully-computerized, "green" paperless office, enabling us to provide the fastest dispatch times in town, and our excellent customer service team is always there to deal with any issue. 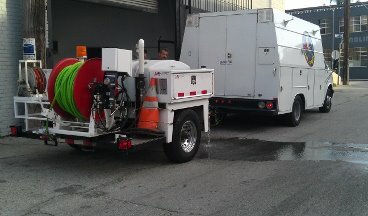 The company services residential and commercial customers, providing comprehensive drain-cleaning and plumbing services at very reasonable prices. Godzilla is a fictional character created by Toho Co. Ltd., a Japanese film production and distribution company. Godzilla's movie debut was in 1954, and since then many movies have been made featuring the 60,000-ton prehistoric monster. A new Godzilla motion picture, directed by British filmmaker Gareth Edwards is about to be released, starring Aaron Taylor-Johnson, Bryan Cranston,Ken Watanabe, Elizabeth Olsen, Juliette Binoche, David Strathairn and Sally Hawkins. The new film, made at a cost of $160 million, will be distributed by Warner Bros. Pictures worldwide except in Japan, where it will be distributed by Toho Co Ltd. The movie is set to be released on May 16, 2014. Copyright 2014, Mr. Speedy Plumbing & Rooter Inc. All rights reserved. Godzilla is a Registered Trademark of Toho Co Ltd of Japan. 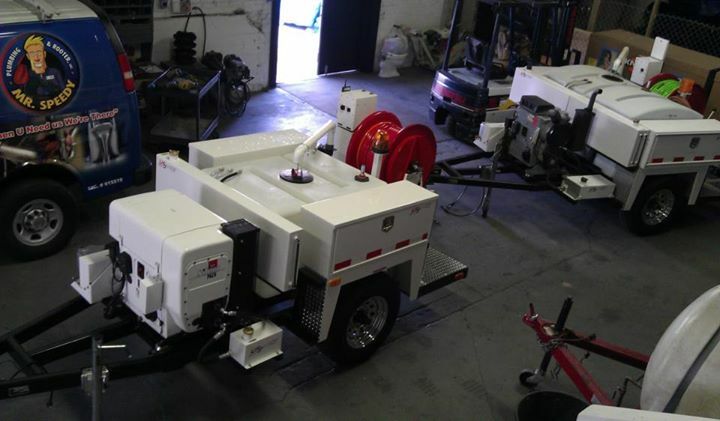 About Mr Speedy Plumbing & Rooter Inc.
Press Contact, Mr Speedy Plumbing & Rooter Inc.